Many books have been written about Bomber Command's war, from the highest levels of command to the experiences of the lowest WAAF, but only a few have been able to reveal the human side of the bomber crews' experience. Based upon many personal interviews, correspondence and archival sources, Andrew Simpson has compiled a compelling, informative and absorbing documentary record of what the men of Bomber Command went through - from initial training and crew formation, to descriptions of life on squadron and on their extremely dangerous and draining operations, to the numbing effect of morale breakdown. This intensely researched book, the result of years of work, contains many personal accounts from air crew - from those that survived and those that did not. Many heroic, tragic and often humorous incidents are described. 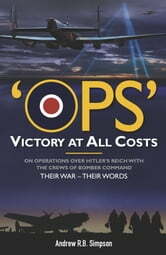 The author also examines the technology of bombing and how this form of aerial warfare evolved in terms of aircraft design, navigation, bombing methods, tactics and gunnery as used in, and as deployed by, the Hampden, Whitley and Wellington medium bombers, and the Stirling, Halifax and Lancaster 'heavies' which equipped Bomber Command's squadrons. A view of, and from, the German side is also included, whilst a section of the book is devoted to recording dramatic personal accounts of being shot down. A further section records the sometimes harrowing experiences of evasion, both on land and by sea, and various accounts are given of the techniques practised at the Luftwaffe Interrogation Centre - the infamous Dulag Luft. Finally, the story of the prison camp experience is also recounted, examining in particular Stalag Luft III and the escapes that were made from it, including the notorious 'Great Escape' of March 1944. Running like a thread through the work is the story of the author's father, who served as a Lancaster pilot on an Australian bomber squadron during 1943 and 1944. His very personal account forms the backbone of this comprehensively researched and often very moving book. 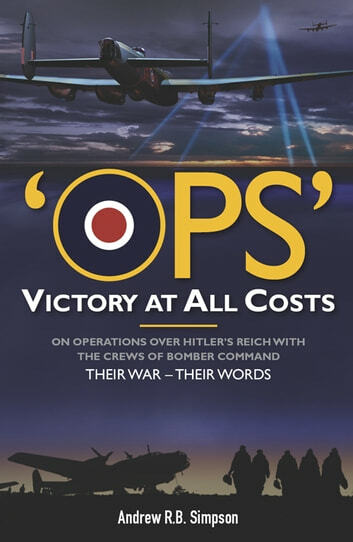 For anyone with a desire to learn more about Britain's aircrews at war or for those seeking to understand more about the operations of Bomber Command, this book offers a unique and extraordinary insight into a momentous period of history.